It is rightly said that earthy shades add to the vivacity of a room. In fact, they are beautiful and make a room appear to be spacious. This is the reason that wooden furniture with lighter shades is positioned more than the darker tones. Likewise, beige or earthy shaded bedsheets are provided to the people because of the stylish appeal. Moreover, earthy shades are exquisitely used as the most essential color in the Rajasthani printed bedsheets. It is the matter of connecting crafts with deserted land of Rajputana Valor. Certainly, one can see a variety of prints on bedsheets with brown shade as the base. It is one of the most stunning masterpieces that authentically belong to Rajasthan. One of the most prominent motifs found on the bedsheets is that of camels and elephants. Being excellent representatives of Rajasthani cultural practices, and even the royal attitude, they are printed on the bedsheets in varied styles. Some of the bed spreads have such motifs painted in sequence within a circular framework; while most others have stripped form of patterns that have elephants in one and camels in the other, the most beautiful part of Rajasthani bedsheets is that they have light brown shaded background that provides ample opportunity for the patterns to come out vibrant in dark brown and maroon colors. This is the reason that beauty of the designs is able to attract buyers from all over the world. 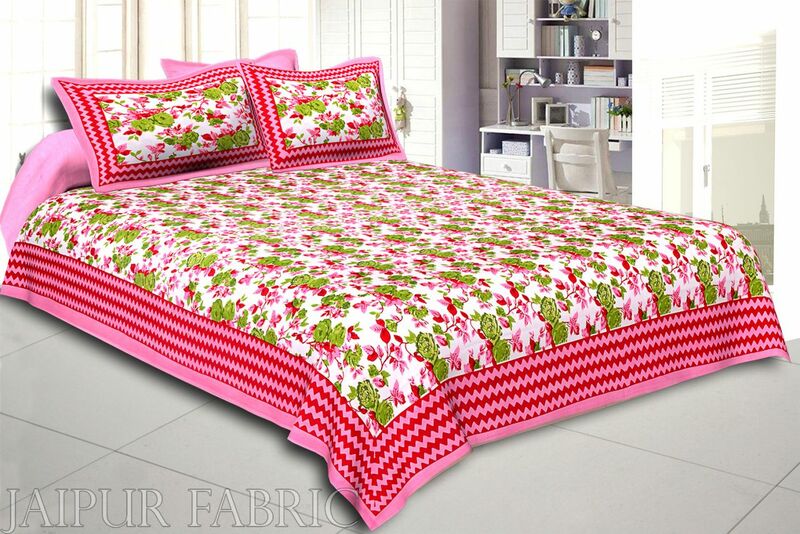 Bed covers and bedsheets are considered a important piece of linen in the house. They are required to be smart looking to get accolades for home owner. And for the people falling in love with traditional trends, earthy shaded bedsheets with embroidery may add to the beauty of interiors. Besides just the printing ones, embroidery crafted with vibrant threads is making a rage. Symbolizing high quality living and exclusivity, they have been a preferred choice of royalty. 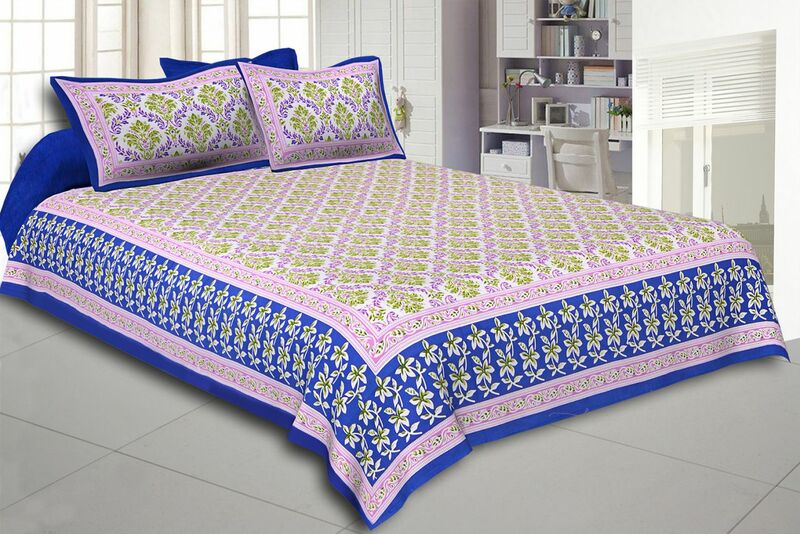 Ardently used in the times of Rajputana kings and queens, such bedsheets augments the charm of a room. Definitely, people willing to transform the appeal of their existing contemporary style room to the Rajasthani marvel; then, opting for the spectacular looking Rajasthani oriented bed linens are surely a welcome treat. As known, the art of Rajasthan has always been famous and people from all walks of lives have come out to be a true admirer. 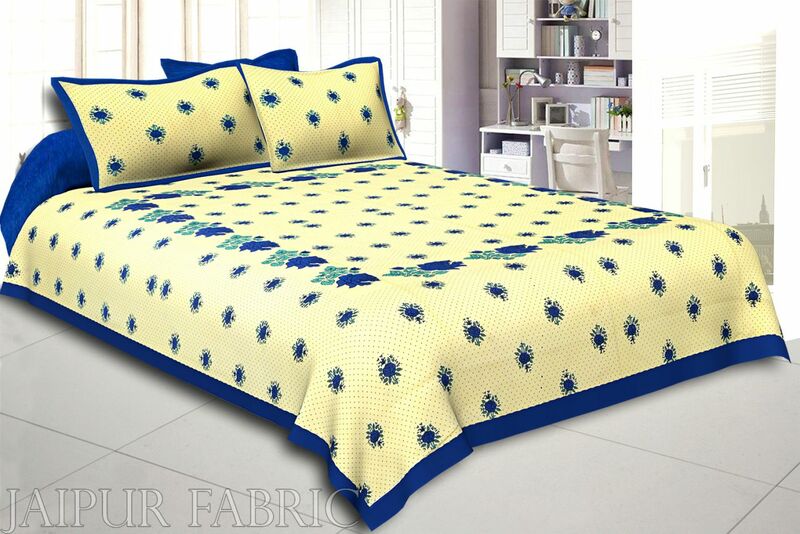 When it comes to the idea of purchasing the most suitable bedsheet, it is always better for the person to buy them online. The main reason is the exceptional amount of variety. Along with this, selection of thr product becomes simplified by a mere click. On these websites, people may select printed options or even the embroidery patterns. Like this, they tend to find the most celebrated piece within much less time and their cost would fall in the budget. Who wants to make a hole in the pocket to smarten their home? This is the reason that reasonably-priced Rajasthani bedsheets in Earthy shades are given.